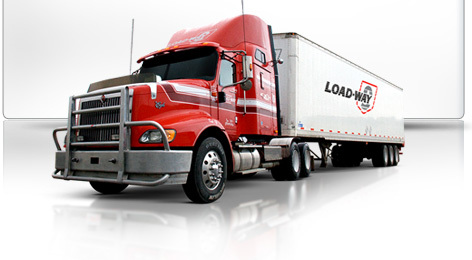 Another innovative product from the Kohut family, Load-Way utilizes the latest logistics technology in their doublestack trailers to create better utilization, ease of loading (unloading) and best of all... virtually eliminate claims. The double stack technology is more secure and efficient than the logistics bars commonly used to stack pallets safely in a trailer. The second floor pulls down from the ceiling as required and provides a stable environment for your goods of all kinds. The Load-Way Quarterback plans each load departing Alberta to points as far east as Winnipeg and as far west as Vancouver. Utilizing tri-axle vans, we maximize the payload and consolidate multiple delivery points so that our highly skilled drivers can coordinate the pre-determined appointment times for each shipment. For points outside of the major Western Canada centres, we have well established interline arrangements in place to serve all points in Western Canada.